We all struggled with blackheads at one point in our life and we have to admit that they are not aesthetic. All that dirt, oil and sebum that is sticking to our pores and harden are creating these so called blackheads. We make most of them on our chin, forehead and nose. If regular wash and simple exfoliating it’s not working, why bother with expensive chemical peels performed by dermatologists? 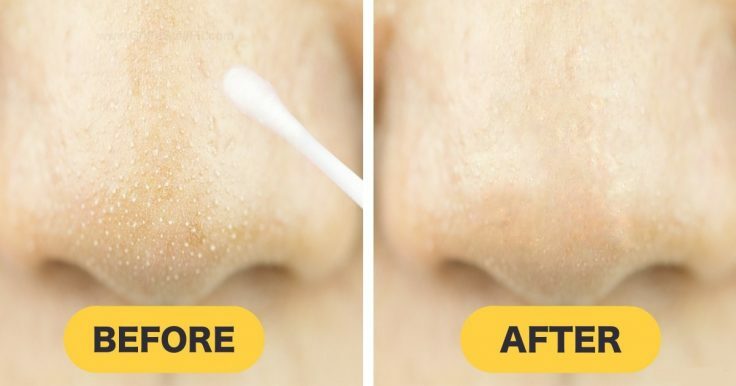 We have a cheap, simple and easy way to get rid of nasty blackheads. Follow the steps from the list below. First, you will have to remove the dead skin that is keeping the blackheads trapped in the pores. For that, you have to wash your face with an exfoliating face cleaner and make circular motions insisting on the affected area the most. Put some water in a pot and put it on the stove until it’s boiling. Take it down and put your face over the steam. Be careful not to burn yourself! Stay this way for 10 minutes having a towel over your head to keep the steam on your face. 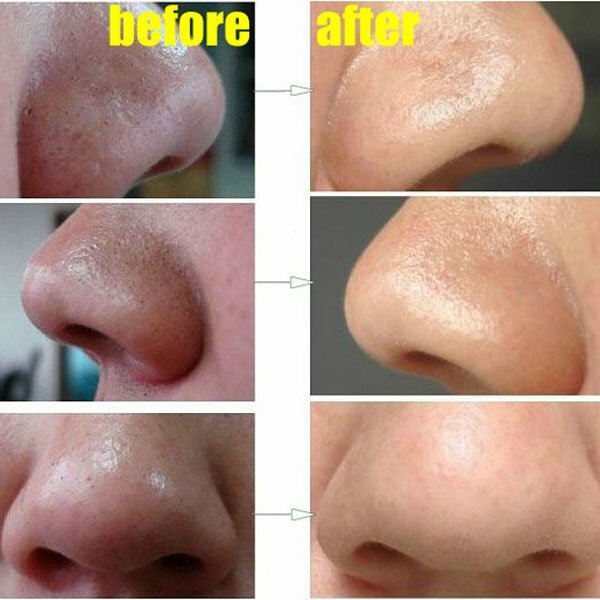 This will help loosen the blackheads making them easier to remove. Make a mix of 4 tbs of baking soda with 1 cup mineral water. Apply the paste on your face and leave it for 10 minutes. The backing soda will draw all the impurities and bacterias out. Rinse with warm water in order to remove the paste you applied before. Enjoy your beautiful face and say goodbye to ugly black spots! 1. Pay attention to not squeeze them, because this can produce deeper, painful sores. 2. According to 10acne.com, bacteria from your nails can produce infection. So don’t use your fingernails to pick at them! 3. The best you can do after the black head extraction is performing a microdermabrasion session. This procedure will eliminate accumulated dirt, dead skin cells, make-up residue and all substances that may eventually cause infection or other skin reactions. Microdermabrasion procedures can be performed at beauty studios or at home. You can find a list of the best microdermabrasion machines at SkinPractice.